The Indian energy company Adani Group (yes, the same company trying to build Australia’s biggest ever coal mine) have announced plans to develop a $100m Adani solar farm in Moranbah. Work will commence on the 175MW solar farm as soon as they get DA from the Isaac Regional Council. The $100m first stage of the project, built on 600 hectares at the Rugby Run grazing property, will use single axis tracking systems to maximise efficiency and energy output. According to RenewEconomy, further stages will increase the generation capacity to 170MW. “We are excited to welcome Rugby Run Solar Farm as the first renewable energy project in the region,” Mayor of Isaac, Anne Baker was quoted as saying. “This project continues to diversify our local economy, and will contribute towards a sustainable future for both Isaac and the state. The project is expected to create 150 jobs during construction. Renewable energy in resources has become a hot topic lately, with the Korean zinc refiner Sun Metals solar farm currently under construction in Townsville. 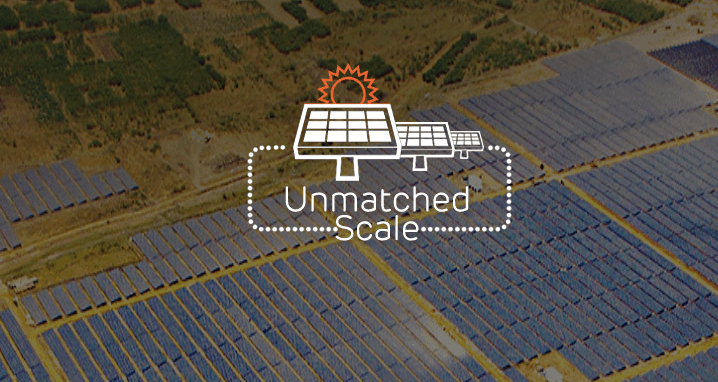 The 125MW, $199m solar farm will provide baseline power for around 1/3 of Sun Metals’ energy needs. Advanced Energy Resources are also building an $8m wind and solar farm at Port Gregory for GMA Garnet’s mine – it will provide baseline power for almost 70% of the mine’s needs. We expect to see the trend of resource companies building ‘companion’ renewable energy farms continue. They have myriad benefits – including reducing exposure to price fluctuations, increasing public goodwill, increasing site stability, and the obvious environmental factors.